In search of answers after a slow start to the season, the Boston Red Sox are shaking things up behind the plate. 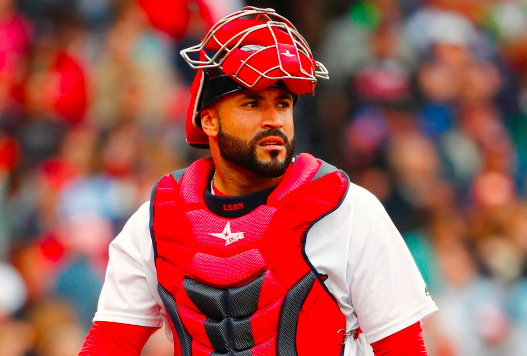 Prior to Tuesday’s series opener with the New York Yankees, the reigning world champions called up veteran catcher Sandy Leon from triple-A. To make room for Leon, the Red Sox have designated Blake Swihart for assignment. After Leon split catching duties with Christian Vazquez last season, the club chose Swihart over Leon coming out of spring training. Leon cleared waivers and started the year with Boston’s triple-A affiliate while Swihart split time with Vazquez. But with most of Boston’s pitching staff off to a dreadful start and the team as a whole struggling, the Red Sox believe Leon could provide one possible answer to their problems. Leon isn’t likely to contribute much to the Red Sox in terms of offense. Despite some improvement early in the triple-A season, he hit a dismal .177 last year. However, the Red Sox weren’t getting much offense out of Swihart of Vazquez either. The thinking is that the team might as well have Leon’s defense at their disposal if they’re not going to get much offense from the catcher position anyway. The team isn’t blaming Swihart for their problems, but Leon certainly appears to be an upgrade in terms of defense and working with the pitching staff. The subtext to Tuesday’s move is that the Red Sox are hoping Leon can help ace Chris Sale get on track this year. Leon caught most of Sale’s starts last season when he posted a 2.11 ERA. However, Sale is 0-3 with an ERA of 9.00 over his first three starts of 2019. On the surface, it’s no coincidence that Leon was called up and put in the starting lineup in time to catch Sale’s start against the Yankees on Tuesday. The Red Sox woke up Tuesday morning five games under .500, already 6.5 games behind the Rays in the AL East. The Boston rotation also has the highest ERA in the majors at 7.19. Obviously, there’s a lot of season left and things will surely improve for the Red Sox. But Boston doesn’t want to fall too far behind in such a competitive division. Right now, turning things around means getting their pitchers on the right track. The club believes Leon can help make that happen.